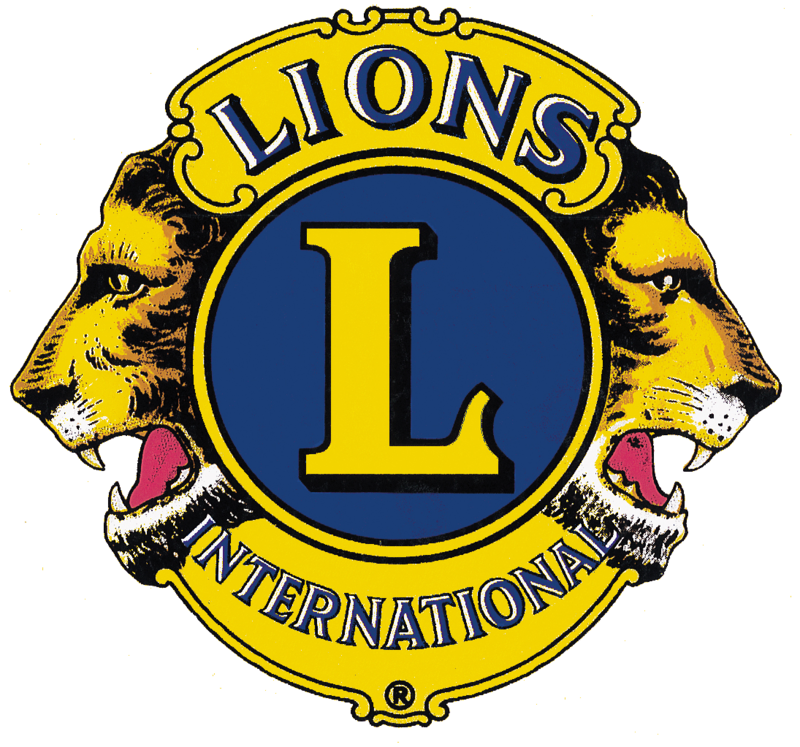 The Lions Den is a charitable, nonprofit organization founded and operated by the Fayette Area Lions Club. The Lions Den is a community resource which is funded by membership, participation fees, and donations from the community. ​Our mission is to promote fitness and the well-being of the mind, body, and spirit through the provision of athletics, exercise, and activities for young and old. Here at the Lions Den we have something for everyone in our community. Providing programs that promote wellness, healthy living, youth, and athletics, the Lions Den staff is committed to making the facility feel like home to everyone regardless of age, ability, income, or background. We are much more than a fitness center. Since its founding in 2001, The Lions Den has stood for a healthy and inclusive community, striving to provide our patrons with the best equipment, instruction, and networks of support possible. In the realm of fitness, we have cybex machines, treadmills, ellipticals, steppers, benches, bumper plates, ropes, tires and much more to fit any exercise regimen. We also have a full calendar of daily group exercise programs, with experienced instructors trained to provide even the most novice participants with guidance in everything from kickboxing to yoga. going on at the Den! 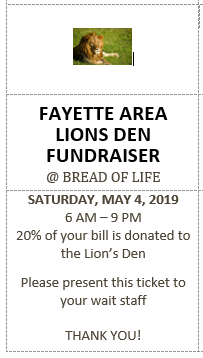 Enjoy a meal at the Bread of Life on Saturday, May 4, 2019 and 20% of your bill will be donated back to the Lion's Den! Present the coupon in hand or on your phone....Thanks for your support! Are you eligible for Silver Sneakers? Find out now! Are you eligible for Silver & Fit ? Find out now!